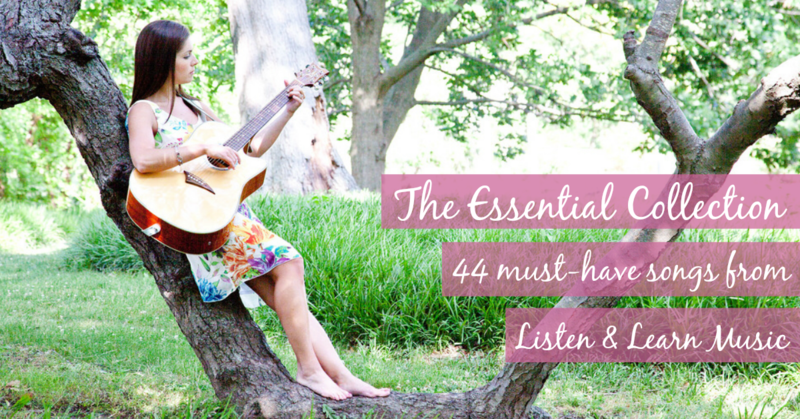 I rounded up what I think are 44 of THE most essential songs in the entire Listen & Learn collection. I’m pretty sure my customers agree, because they also happen to be some of my best-selling songs. And for just this week, you also get the Summer Song Pack ($12 value) completely free when you purchase the Essential Collection. After May 22, this collection will go away and the cost of all the music included will go back to $70. Plus the Summer Song Pack! The Summer Song Pack is a bundle of 12 songs for children based around the theme of summer. These songs target a variety of objectives and skills, including calendar, rhyming, speech goals, instrument play, academic concepts, group participation, spatial awareness, and gross motor movement. This bundle includes the recording, instrumental track, and chords for all 12 songs — a value of $36. These songs are the perfect addition to your summer season repertoire for summer camps, music therapy sessions, early childhood groups, the classroom, or anywhere else you use music to help children learn and grow.